Brittany grew up on the race scene, with a father that raced everything from hydroplane boats to bikes, a mother that won rookie of the year in a mini car, an uncle that currently races top fuel dragsters with the likes of the Force family and a handful of other family members talented enough to make an actual living at the sport. She started riding in 2005, on a 2002 Honda CBR 1100XX and then made the transition to a 2006 GSX-R 1000. Yes boys, her bike is bigger than yours. 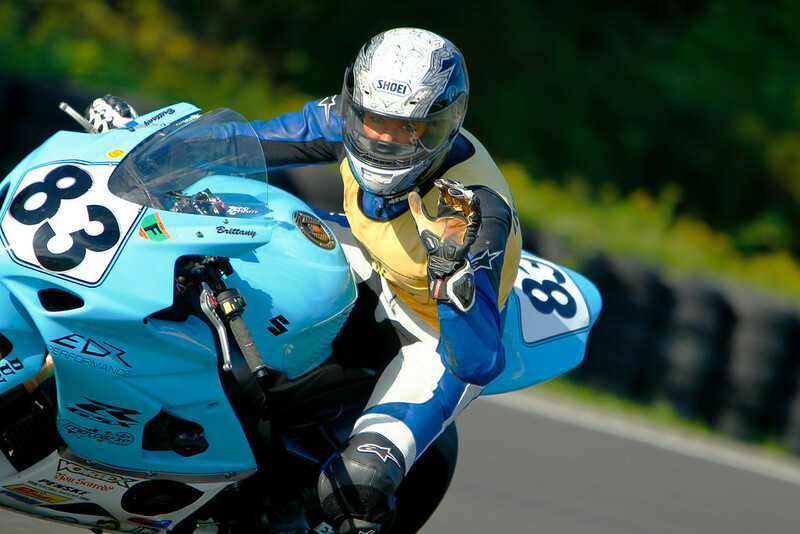 After founding a state wide all women’s riding club, she decided to try her hand at the track. Six track days and a fresh set of slicks later… and she was in love. In 2009, she attended 2Fast’s NRS and began racing with OMRRA and AFM, and then in 2010 was asked to join the elite ranks of 2Fast staff as an instructor. In the off season, you can find Brittany playing in the dirt on a Honda CRF 450R, jumping it “on purpose,” …and occasionally breaking bones, or donning her Moto-Mom hat to cheer on her son, Kainoa, trackside on his KX 65, or daughter, Keala on her KDX 50. Be sure to ask her to tow you around for a few laps and don’t let her race face scare you, she’s as friendly as they get. Just don’t interrupt her if she broke a nail, (or bone) low-siding in T1. If you bribe her with a Red Bull, she’ll even teach you how to drag your elbow.